From left to right, Christina Gianesello and Martine Fierro are senior captains of the Greenwich High School girls tennis team, which posted a record of 15-3 last season. Either Staples or Darien have reigned supreme in the FCIAC the past three seasons, with the Greenwich High School girls tennis team finishing close behind them. This spring, the Cardinals are hoping to have the final say. With an experienced singles lineup and plenty of players capable of filling doubles roles, Greenwich has the components in place to challenge for both the FCIAC and Class L tournament titles. Indeed, Greenwich registered a sparkling record of 16-4 last season, losing to just two teams along the way — the afformentioned Darien and Staples. Eliminated in the semifinal-round of the FCIAC Tournament, Greenwich dropped a 5-2 decision to the Blue Wave in the 2018 Class L tourney. Greenwich last won the FCIAC championship in 2012 and after capturing the Class L title in 2009, lost in the state finals in 2010, 2012 and 2016. So this season, the Cards are aiming to take the next step. Helping guide the team on their journey toward another highly successful season are senior captains Martine Fierro and Christina Gianesello. Fierro posted a record of 13-3 last season, which saw her step into the top spot. She should once again, be a force atop the singles lineup. A member of the varsity squad since her freshman year, Fierro has steadily risen up through the rankings. Gianesello successfully filled roles at third and fourth singles a year ago and should be one of the team’s top-seeded players. Like her coach and teammates, Gianesello sees great potential in the Cards. WHO’S GONE? : Captains Melanie Murphy and Tess Lamhaouar each graduated. Murphy was an effective doubles player, while Lamhaouar provided quality singles depth. Hannah Crasto, also a successful doubles player, also graduated. Fierro has been a mainstay in the singles lineup and Gianesello switched from doubles to singles in 2018. Joining the team is sophomore Natalie Williams, who may take over the second singles role. Juniors Kendall Schrohe and Yui Inagawa are each vying for singes positions. Schrohe was a key contributor in doubles competition last spring. Junior Melanie Leguizamon, who was a standout at second singles last season and advanced to the third round of the State Open, is rehabilitating a wrist injury and may join the squad at some point of the season. 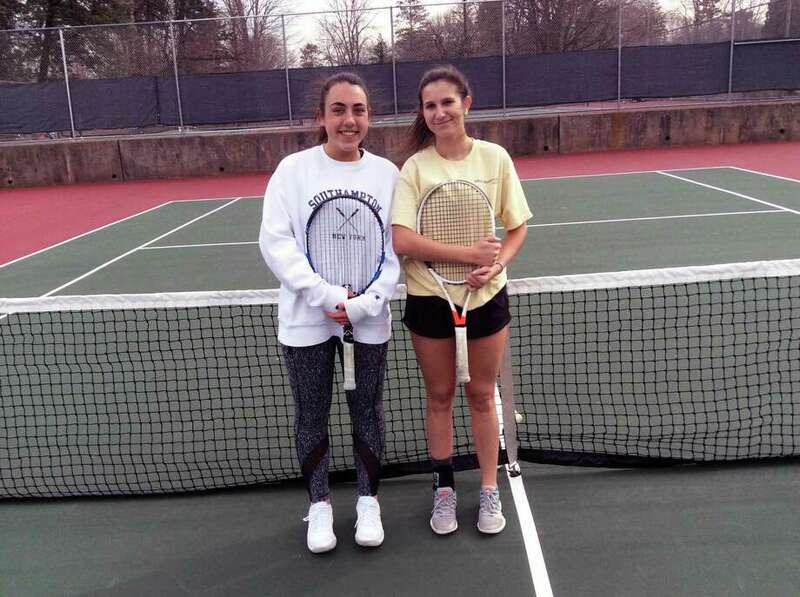 Junior Hannah Viney and sophomore Abby Shropshire have doubles experience, after aiding the team in that area last season and junior Amy Bickham should also lend her talents in doubles competition. Senior Catherine Daye is back after being injured last season and Rachel Karetsky (junior), Ellie Viney (freshman) and Courtney Sheets (freshman) are first-year varsity players. The Cardinals are eager to face each conference rival and prove they’re among the elite in the league and state.